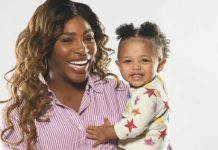 Pampers has partnered with Serena Williams, tennis star, entrepreneur, and mum to baby Olympia, for the newest push by the brand developed around its Cruisers 360 FIT portfolio. Believing that every child is born to be wild, she is encouraging parents everywhere to unleash their active babies. As campaign spokesperson, Williams frees parents from the fear of judgment with the help of the diaper giant, whose recently-launched offering caters to infants and tots which an energetic streak. Both the athlete and Pampers want to celebrate the eventful and exciting growth and development of busy babies. In her new role, the active mother is advising parents to ignore the side-eye and embrace the wild side of their young ones. In a recent study, the brand discovered that 84 percent of parents wish their kids could explore the world more freely without being judged. With Pampers Cruisers 360 FIT, they now can. “Serena knows how important it is to feel comfortable while on the move and trusts Pampers Cruisers 360 FIT to keep up with her own little wild child, Olympia. She embodies what it means to be active and spirited, and is instilling this in her daughter,” said Andre Schulten, VP and GM, Baby Care North America at Procter & Gamble.